America’s Gerry Beckley, Chicago’s Robert Lamm and The Beach Boys’ Carl Wilson. 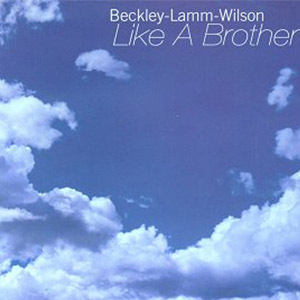 Like A Brother is a collaborative album released by members of the three famous recording acts. The trio had performed together on Robert Lamm’s third solo album, In My Head, on the song “Watching The Time Go By” which was released in 2000- two years after Carl Wilson had fallen victim to lung cancer. It was the last album recorded by Wilson before his death. The production is both mellow and melodic, with each of the three men bringing the style of their signature band’s to the project. There is an airy and relaxed feel to the proceedings: the listener can tell that these three men clearly enjoyed creating this music. Special note is given to Carl Wilson’s wonderful vocals. His “I Wish For You” (the last song that he ever recorded) is exquisite. His wonderful voice is sorely missed.